Yes. Yes, we are into the second week of November but last week was all about some fun giveaways so I didn't set the stage for this month's book club read. I hope you can forgive me. I'm here to do this now! I have long loved fairy tales as I knew them - generally from popular saccharine representations in children's picture books and (of course) Disney movies. Later on, I came to love young adult fairy tale novelizations such as those by Jessica Day George and Robin McKinley. But, apart from my childhood reading and re-reading of Anderson's Fairy Tales, I haven't read many original fairy tales. Since I am familiar with Hans Christian Anderson's original tales, I've selected a less familiar collection of originals for this month's Reading to Know Book Club - Grimms' Fairy Tales (link to Wikipedia). 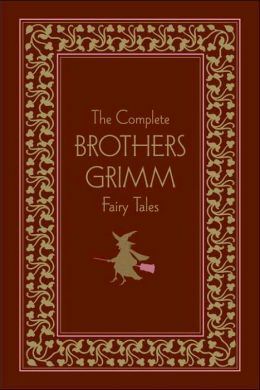 The Complete Grimm's Fairy Tales include 200 separate tales - familiar tales such as Rapunzel, Hansel and Gretel, and Little Red Riding Hood, but also much less familiar ones. Since the volumes are rather large, I don't expect that many of us will read them in their entirety (I’m going to try but to give myself plenty of grace if I don’t end up doing so!). So this challenge will be to read one or more of the Grimm brothers' original fairy tales and to write about them so we all can learn a bit more about the tales behind the children's storybook versions. Let us know in the comment section if you plan to read along! We'd love to hear from you. I am planning to read a few but haven't yet decided on which ones. Probably some of the more familiar ones so I can see how they compare and differ from what I know. This is great! I used to love these as a kid. It must be the German in me. There is actually little to no German in me, but I wish there were. I've read the Brother's Grimm and look forward to revisiting their tales, but beware, these are no happy Disney stories! They lean toward macabre. 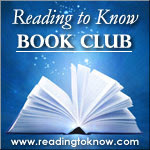 I facilitate a book club for teens. For November, they selected The Brothers Grimm. They chose about 15 , and I know many of them are reading quite a few more.There are some interesting themes and undercurrents. I am looking cforward to the discussion.